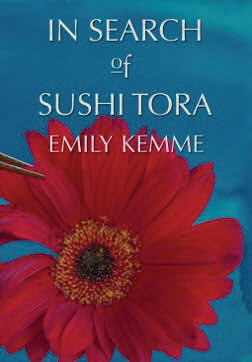 In her premiere novel, In Search of Sushi Tora, CIPA member Emily Kemme takes the reader on a fast-paced ride through reality. Told with turns of sparkling wit and biting humor, she evaluates the purpose of marriage, and puts a spin on how we can survive the trials of everyday life. “We’re very happy that Emily has chosen Brook Forest Voices to publish her first novel as an audiobook” says Diana Andrade, audiobook publisher and President of Brook Forest Voices. Diana will also serve as narrator with sound engineered by Derek Whitacre. The audiobook version of In Search of Sushi Tora may be purchased as an mp3 CD or download by going to the BFV audiobook store at www.brookforestvoices.com. It is also available as an mp3 CD through iPage.Ingramcontent.com or as a download in mid August through Audiobooks.com, Audible.com, iTunes.com and Amazon.com. Brook Forest Voices is a complete audio production studio located just west of Denver in Evergreen, CO, specializing in audiobook narration, production and publishing. BFV is designed to help large and small publishers, as well as authors, with all their audio needs. Publishers and authors wanting to learn more may contact Jaime Andrade, BFV Business Manager at Jaime@brookforestvoices.com or call 303-670-4145.